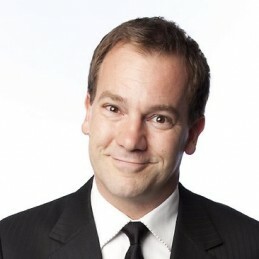 Lehmo is one of Australia’s most experienced and well traveled comedians. Lehmo’s live work has seen him headline at comedy clubs for well over twenty years and work all corners of the globe! USA, UK, Ireland, South Africa, Singapore, Malaysia, Hong Kong and Thailand. Lehmo has also become Australia’s number one “combat comic”, having completed four ‘tours of duty’ performing for our troops abroad. These tours have seen Lehmo perform in army bases in East Timor, Iraq, Kuwait, UAE, Afghanistan and two secret countries he’s not allowed to name!! You can catch Lehmo’s show at this year’s Melbourne International Comedy Festival. Up until 2014 Lehmo held the Guinness World Record for the most jokes told in an hour (549). Lehmo has performed for businesses big and small throughout Australia and south east Asia. These functions have included AGMs, team bonding days, Christmas dinners, conferences and the list goes on. Having spent ten years working in the corporate world as a chartered accountant Lehmo is perfectly qualified for any such function. Lehmo knows exactly what it takes to put a smile on a corporate face. He’s even completed an entire festival show on the subject, the critically acclaimed Taxing Lyrical. Lehmo currently hosts the very successful Gold 104.3 breakfast show in Melbourne with Jo Stanley. From 6am to 9am every weekday morning they keep Melbourne laughing (and sometimes crying) with their unique brand of humour. Over the last four years Brig and Lehmo have interviewed everyone from Prime Ministers and Premiers to award winning actors and rock n’ roll legends. Lehmo’s radio career started on the number one rating SAFM breakfast show in Adelaide. He went on to host the much loved national drive show on Triple M with his good mate Wil Anderson. Lehmo is also a regular panelist on The Project on Channel Ten & he recently starred as Jim in the Working Dog production Utopia on the ABC. He has also appeared on the following shows: Good News Week, Rove Live, The Circle, The Glasshouse, Stand Up Australia, 11am, Hey Hey It?s Saturday and Stand Up Live (UK tv). Lehmo has also played cameos in two feature films, including the latest Working Dog film Any Questions For Ben?, played a guest role on Neighbours (as himself) and has starred in a string of TV ads. Lehmo was previously a team member on one of our most loved & missed footy shows Before The Game. His co-hosts were Dave Hughes, Mick Molloy, Andy Maher and Neroli Meadows. Every week during the AFL season the panel took a look at the lighter side of the game and interviewed its biggest names.